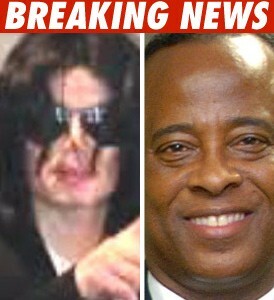 Michael Jackson doc Conrad Murray bailed on a very important date -- and now a Family Law court wants a bench warrant for his arrest and possibly the suspension of his medical license. Murray failed to show up to a scheduled child support hearing yesterday -- he allegedly owes more than $13,000 to baby mama Nenita Malibiran, according to the Las Vegas Review-Journal. The bench warrant would have to be signed by a district judge before it can be enforced. The D.A. 's office says they'll also ask for Murray's medical license to be suspended -- as of now, he can still practice medicine. As TMZ previously reported, the investigation into MJ's death should wrap up next week -- and Murray is still the sole target.